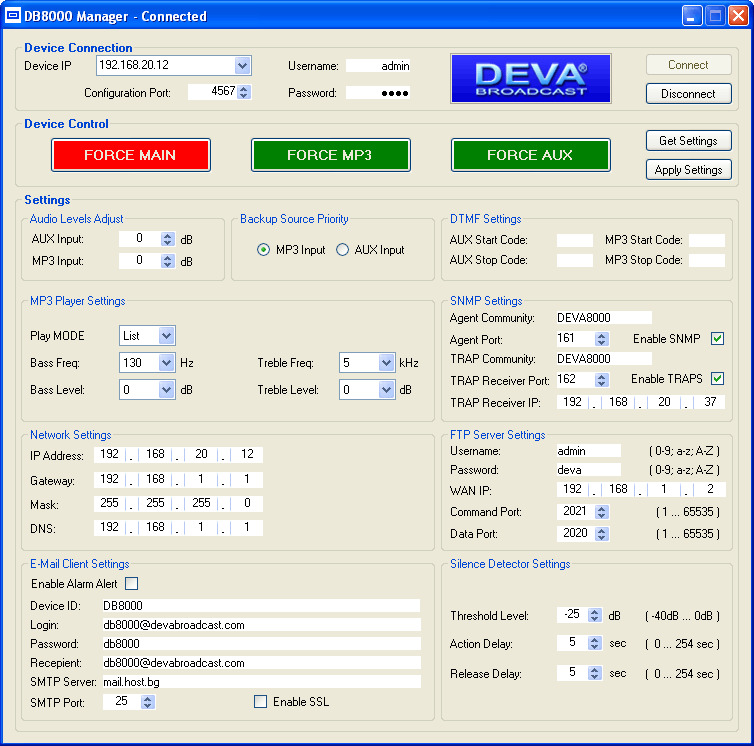 Device created to fight the dreaded dead air problem is the DB8000 from DEVA Broadcast. 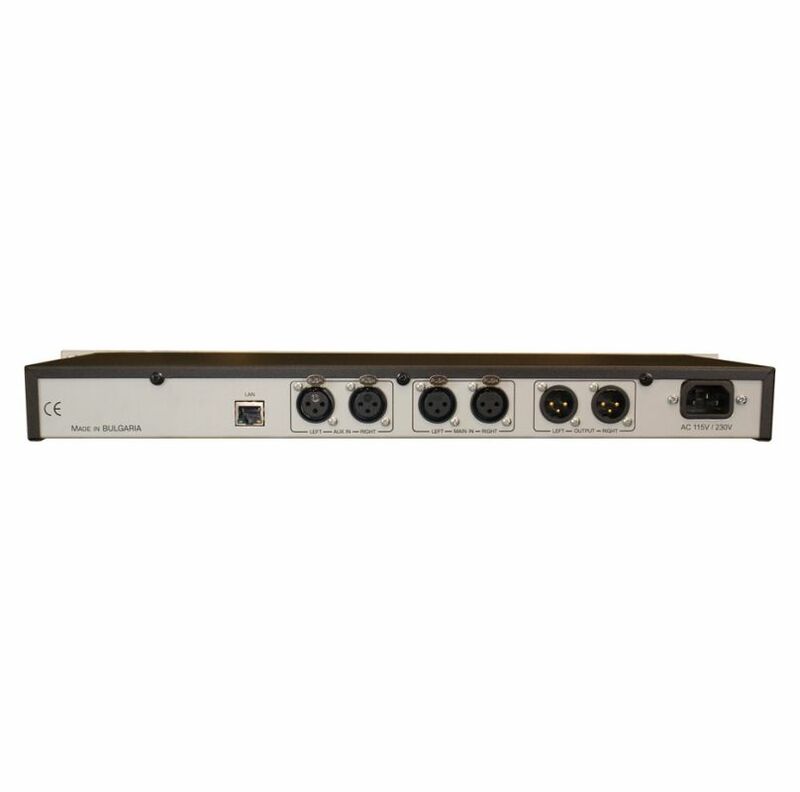 It is designed and built to be simple, flexible, reliable and easy for integration with the existing setups of any single station to a large radio networks. 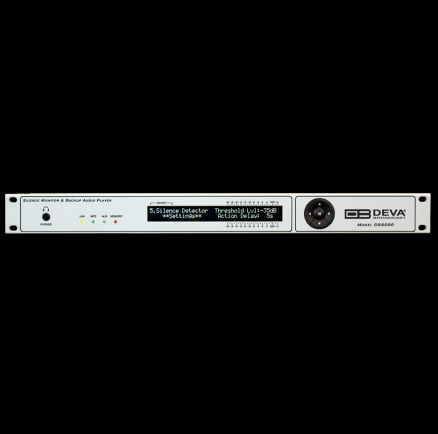 The basic principle of DB8000 is that this unit can detect the silence and start playback of a preliminary created play list on the built-in MP3 player. The MP3 backup audio files and play lists can be uploaded in the DB8000 from your PC using any FTP client. The audio storage capacity of DB8000 is 2 Giga Bytes. The DB8000 provides additional security in case of loss of audio at the inputs. The audio backup is presented as an integrated auxiliary audio input for external program’s backup audio source and built-in MP3 audio player. Internal bass and treble controls module allow advanced audio adjustment of the MP3 backup audio. The unit has DTMF remote control features. Preliminary assigned up to 3 digits DTMF tone combination can change the audio source input or just to start playing from the play list of the built-in MP3 Audio Player. Trough this feature the DB8000 can be used for local content or regional advertisement spots insertion.